Ladies and gentlemen, I introduce you the cutest prima ballerina ever seen! She might switch classic ballerina pointe shoes to these ultra-comfy slippers, but she dances even more graceful! Those pull – on slippers with ballerina print will warm up little feet even during the coldest season. 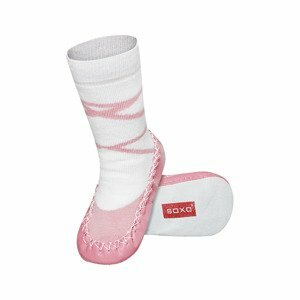 Made of 85% cotton, they are so comfy and cosy that your child would like to wear them all day long. 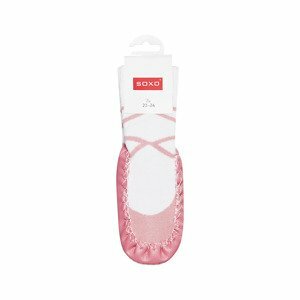 Soft anti-slip leather sole guarantees comfort and safety for little feet even during the most demanding ballet performance.